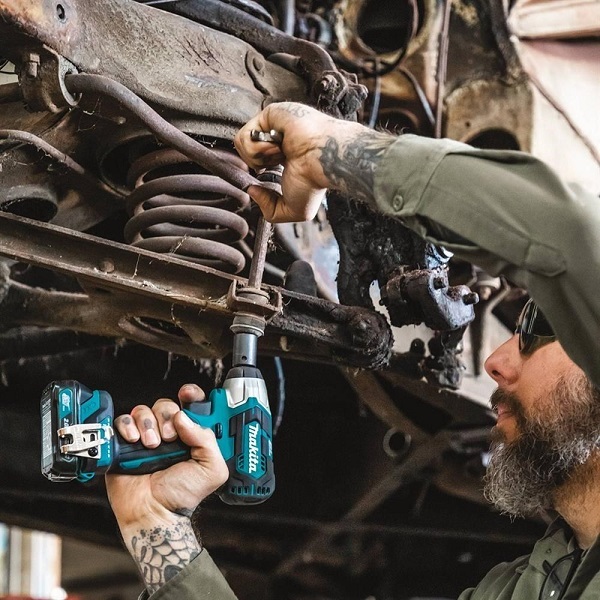 Makita U.S.A. Inc., manufacturer of high-quality industrial power tools and accessories, recently announced the launch of the12V max CXT Lithium-Ion Brushless Cordless 3/8-in. Sq. Drive Impact Wrench (WT05). Ideal for maintenance, auto and general use, the WT05 will be offered as a bare tool (WT05Z) and kit (WT05R1). The WT05 delivers power and speed in a compact size for efficient fastening and working in tight spaces and overhead applications. The 12V max CXT 3/8-in. Sq. Drive Impact Wrench weighs only 2.2 lbs. (with 2.0Ah battery) for reduced fatigue. Variable 2-speed (0-2,400 RPM & 0-3,600 IPM) serves a variety of fastening applications. Makita’s BL Brushless Motor delivers 120 ft lbs of Max Torque and 210 ft lbs of Nut-Busting Torque. Reverse Rotation Auto-Stop Mode stops rotation and impact when fastener is loosened adequately, which helps prevent over-loosening and dropped fasteners. Get more Makita news here!